This one came out of left field last year. 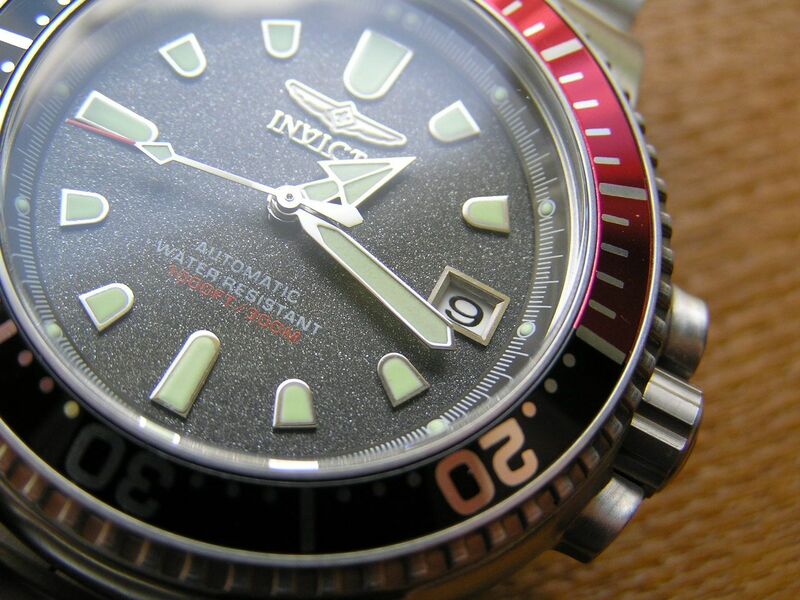 The original Invicta Scuba Diver (Model # 3076) is lovingly referred to as the ‘Scooby’ and has a legion of followers and is considered to be one of Invicta’s best dive watches. 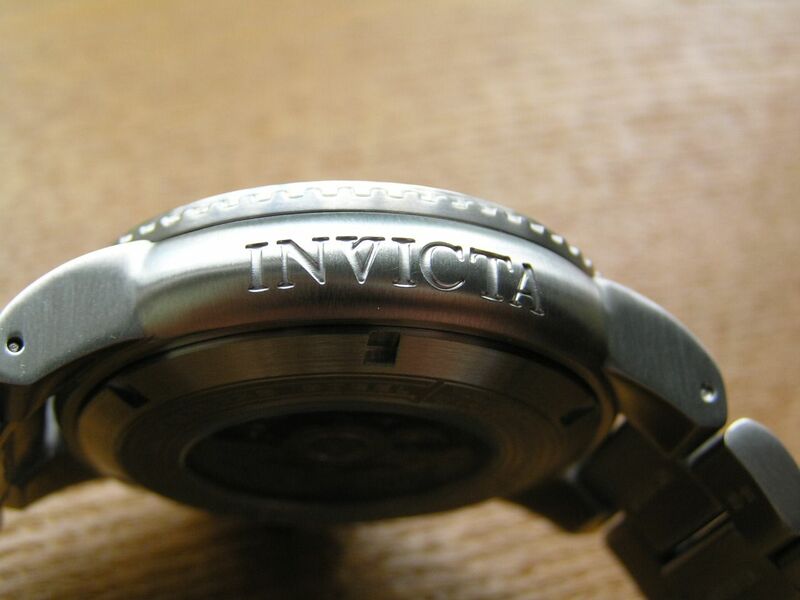 I had one about four years ago, and it suffered from some of the annoying Invicta QC problems that should not have been present on a watch at that price point (bezel insert coming unglued, crown threads starting to strip and misbehave). So I sold it, wishing I really could have kept it because there was a lot that I liked about that model. Fast forward to last year. 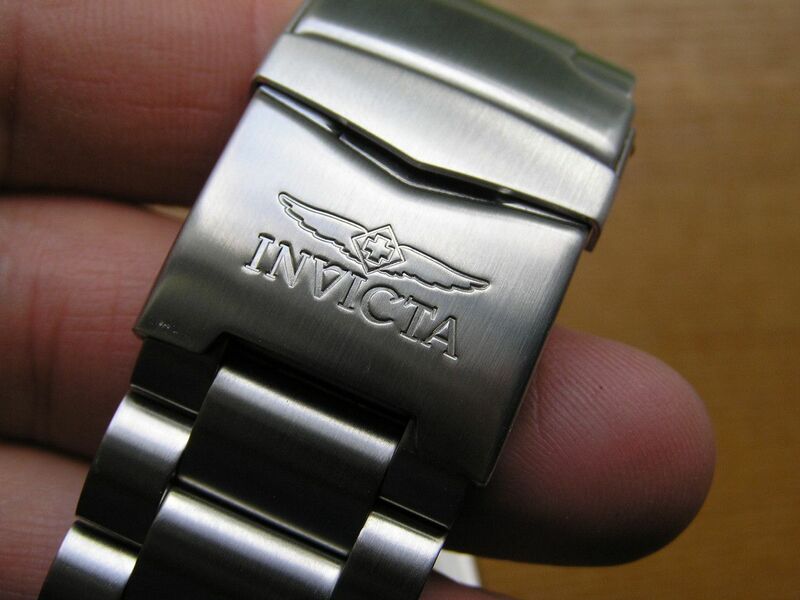 Invicta reintroduced the ‘Scooby’ with a few changes and a lower price. When I found out about this new model (#6925), it was too good of an opportunity to pass up. 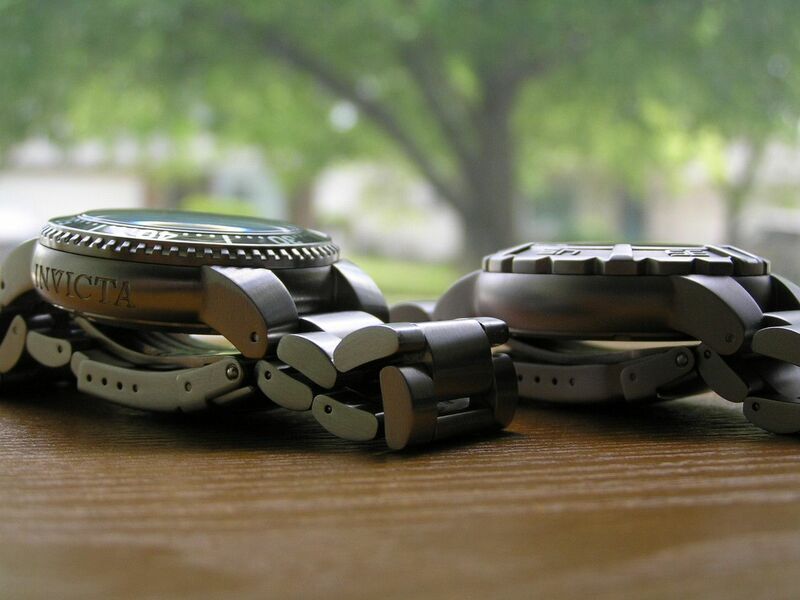 Same case, bracelet, clasp and machined deployant, same bezel, same dial and hands. 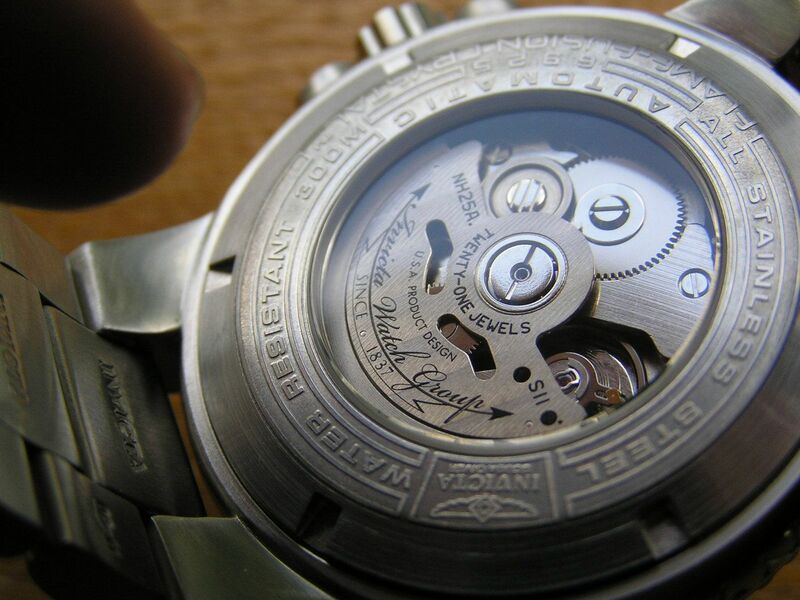 Even though the new SII 21-jewel movement can’t be hand wound or hacked, it keeps superb time. 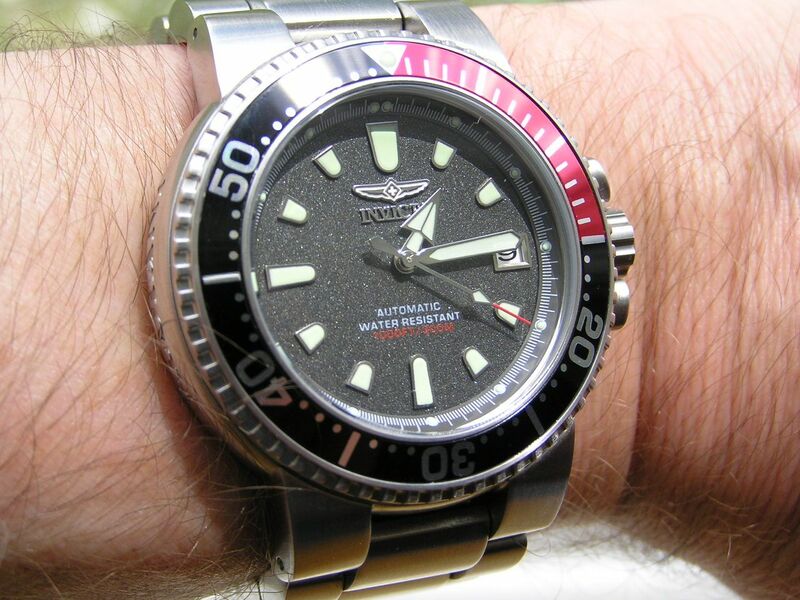 I have noticed that it takes quite a lot of shaking to wind this movement, as I had the same movement in my Invicta Pro Diver and if I don’t shake it for at least three minutes prior to wearing, the power reserve will be shortened. What I always loved about the original Scooby and what carries over to this new model is the great overall look of the piece. 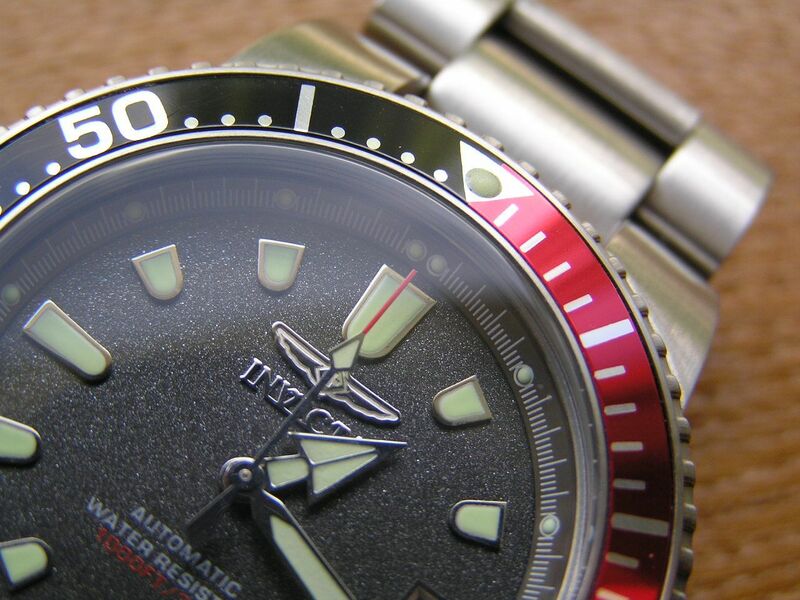 The size isn’t too big, there’s no annoying cyclops over the date and the grey granite-like dial is superb. Pics just don’t do the dial justice. The hand set is nice and the style of the case (very ORIS-like) is comfortable and impressive looking, without being too clunky or chunky. 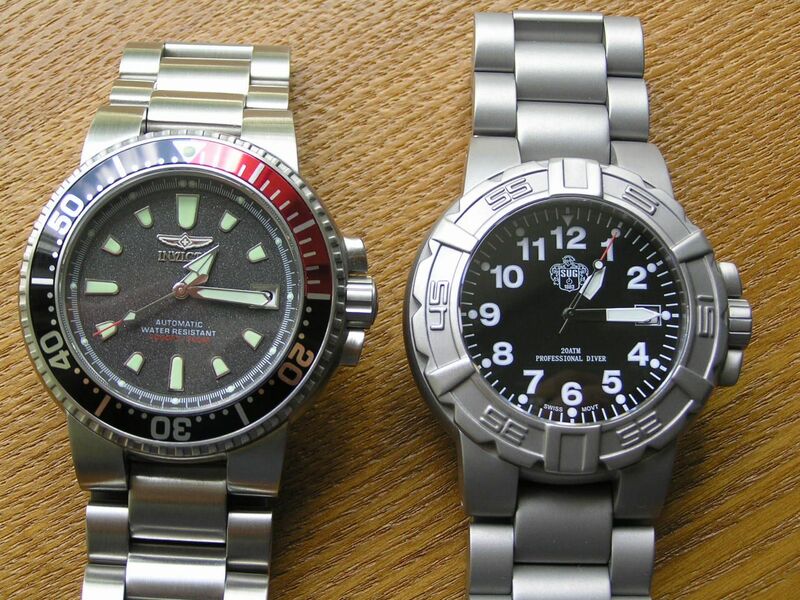 This case and bracelet is used with several other watches from different makers; I have included a few comparison shots side-by-side with my SUG diver and it’s easy to see that these two watches share the exact same case. 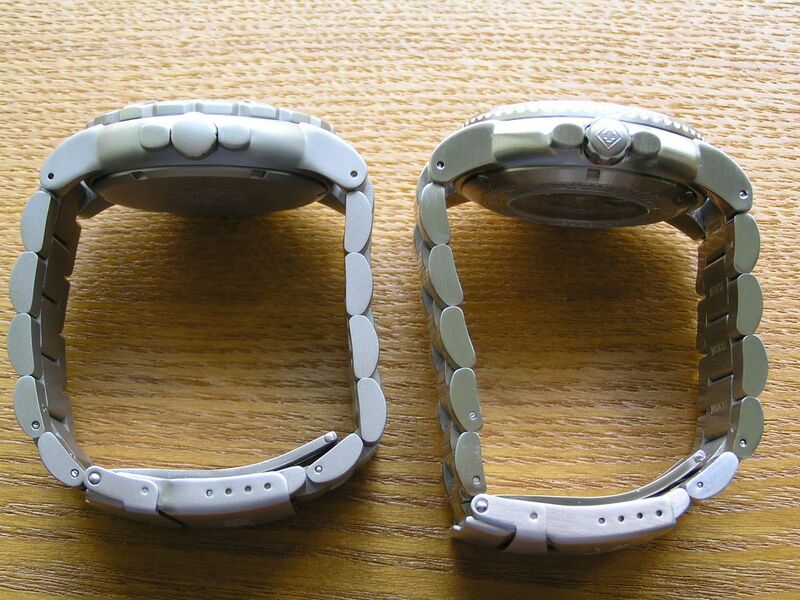 Case measures about 43mm w/o the signed screwdown crown, 47.2mm with the crown. 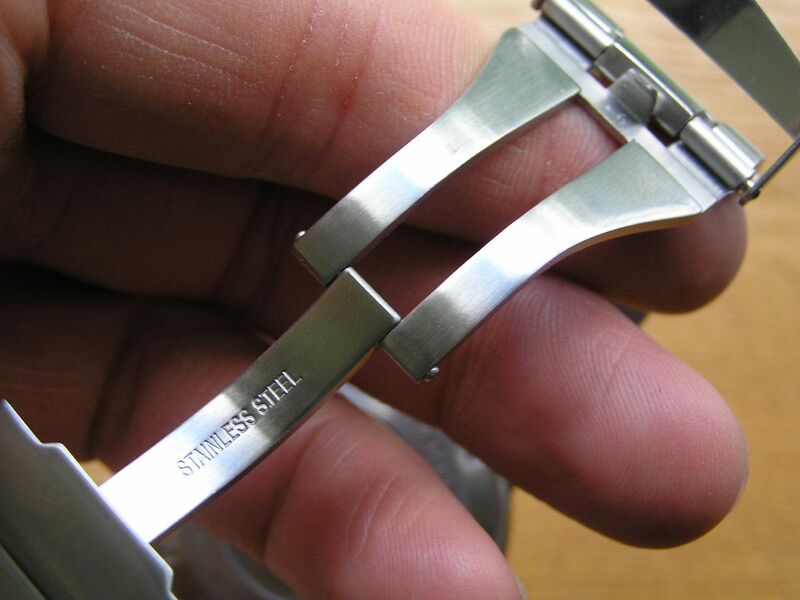 Case thickness is 14.5mm. 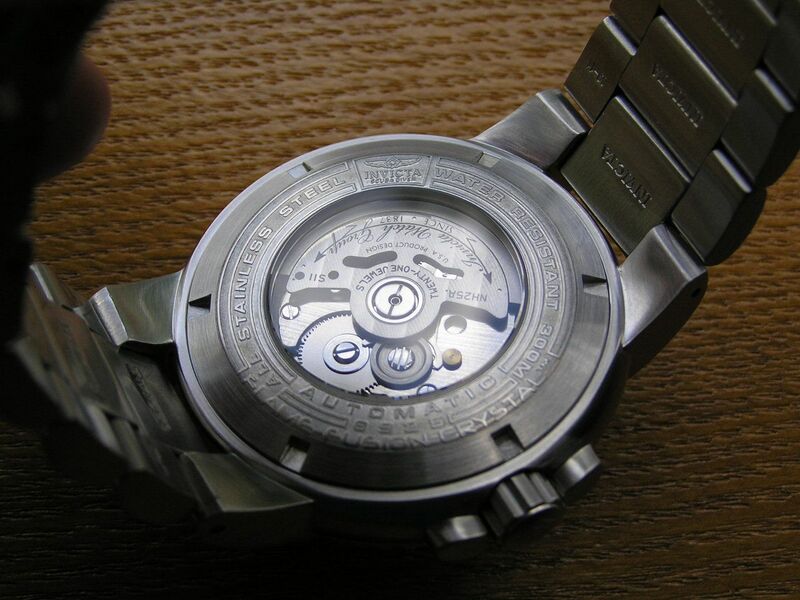 The outside dimension of the lugs is 27mm at the case. Even though this is an integrated bracelet design (something I usually don’t care for), it works well on this watch and it fits comfortably on my thinner wrist. Bracelet is solid link stainless steel, about 27mm wide at the case, tapering to 24mm at the signed double locking clasp with machined deployant. 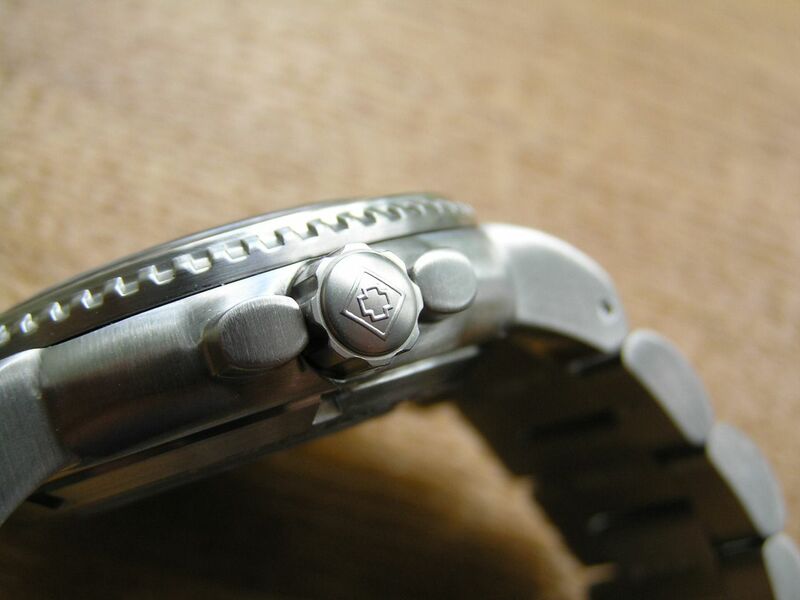 The unidirectional bezel is a 120-click variety that doesn’t have real positive detents in it, I guess to give it a smoother feel, although the one QC issue I find with the watch so far is that the bezel tends to bind a bit from the 40 to the 30 minute mark. Not a deal breaker, but it should be smoother. 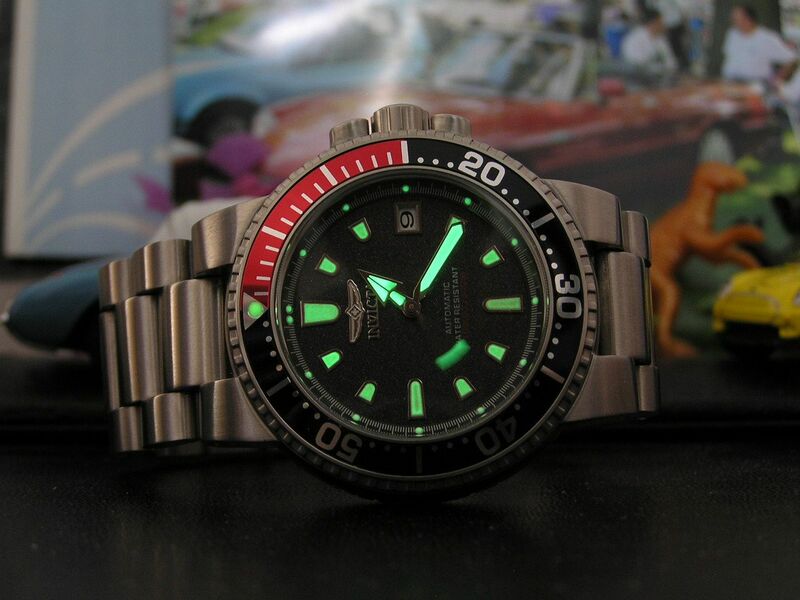 The bezel has a lume pip at 12 (hopefully it won’t fall out) and is red for the first 15 minutes. Let’s hope the bezel insert on this one stays put as well! 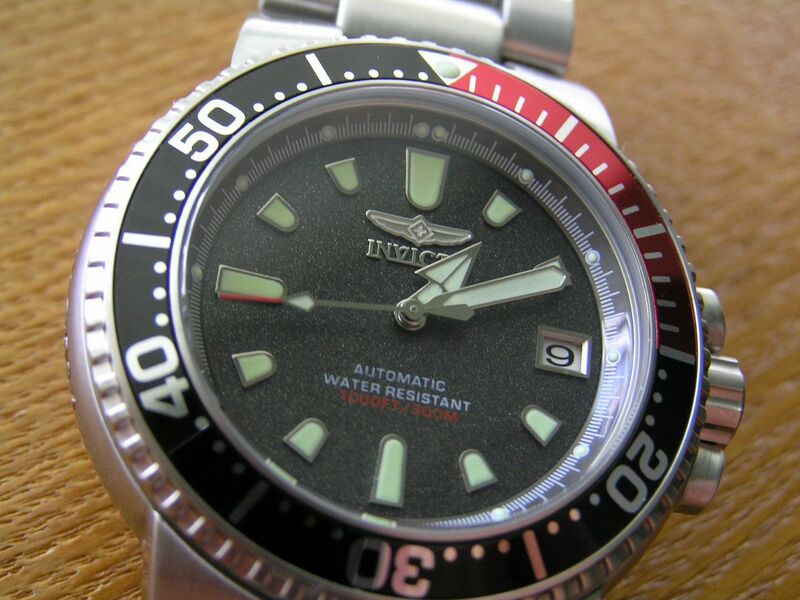 The dial has applied luminous markers and luminous hands, with the tip of the seconds hand painted red. Quickset date @ 3. 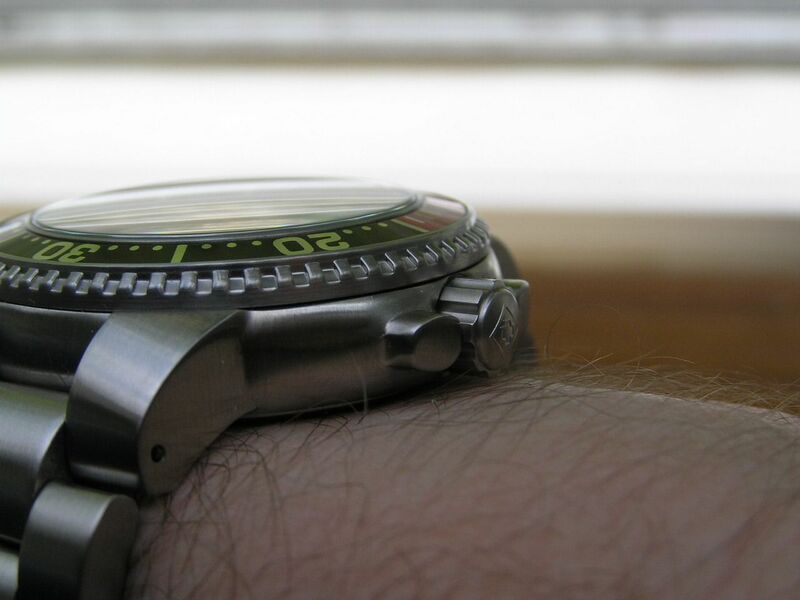 As mentioned previously, the granite grey dial is awesome and probably my favorite feature of this watch. 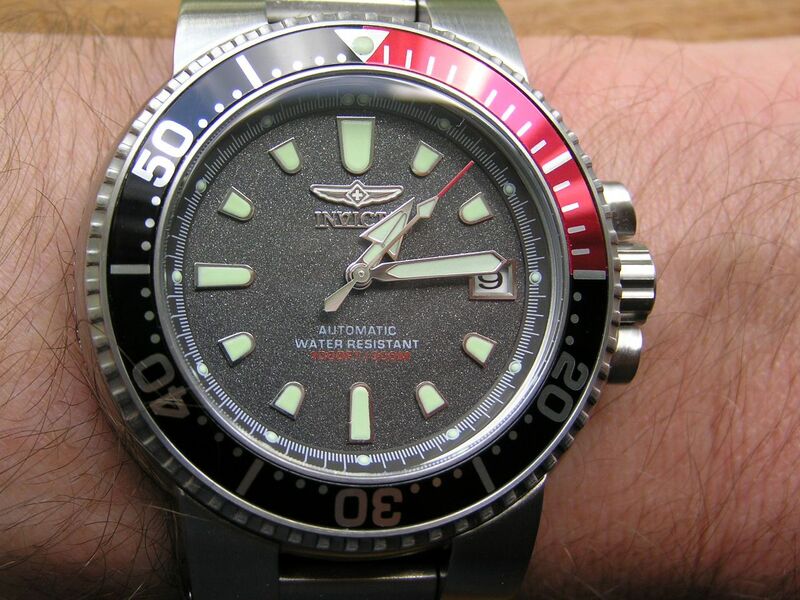 Lume is acceptable, but not up to Seiko diver standards. The new Scooby is also available in a variety of dial colors that the original never came in, such as blue and green. You can also get gold plated cases with a variety of bezel colors along with the standard stainless steel with different bezel colors. 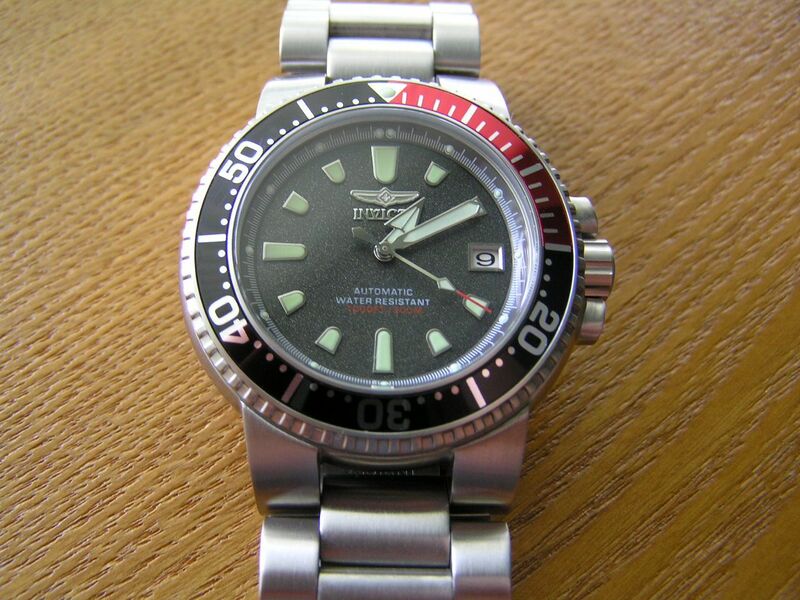 This model 6925 is the one that is the original 3076 configuration. Since the new Scooby is priced considerably less than the original (I paid $250 USD for a used original Scooby), this new one has a street price brand new of about $150 USD, you certainly can’t argue with the price. And get it discounted, you can find it for $100 USD or less. 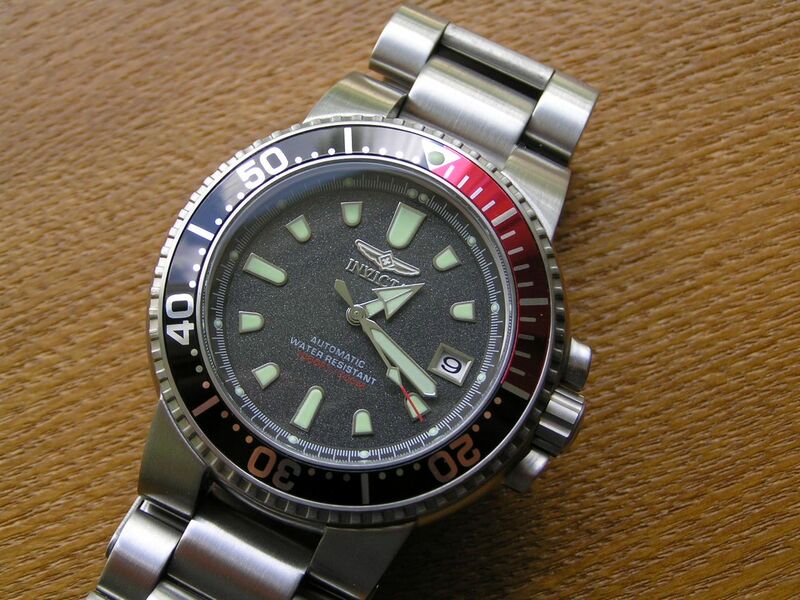 I know some purists will complain that it doesn’t have a Swiss movement anymore and that this new watch is no different than a Seiko Monster or something like that, but I feel for the price point with the new, albeit somewhat reduced feature set, it’s still a solid value for a great-looking watch. Cons: they had to cut a few corners somewhere (but did so without too much compromise), bezel action should be smoother, lingering QC issues? Verdict: The Scooby is back! Changed a bit, yes, but the spirit and character of the original lives on! Welcome home! 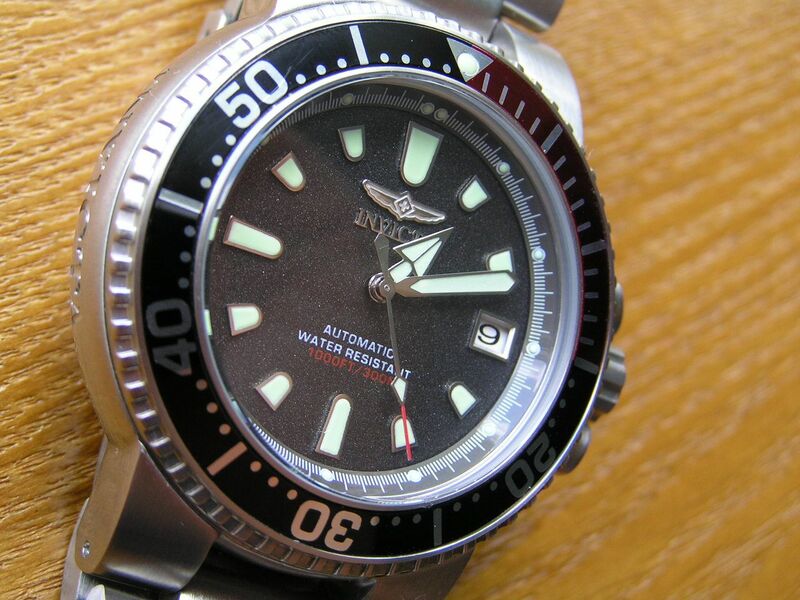 I sold this second generation Invicta Scooby since after awhile I felt it overlapped too much with my Bulova Accutron diver with a ‘coke’ bezel. Still, the latest Scooby is a solid watch and a certified great deal for the price.